After Fleetwood Mac's awe-inspiring reformation for Isle of Wight at the weekend, Smooth take a look at other great reunions. 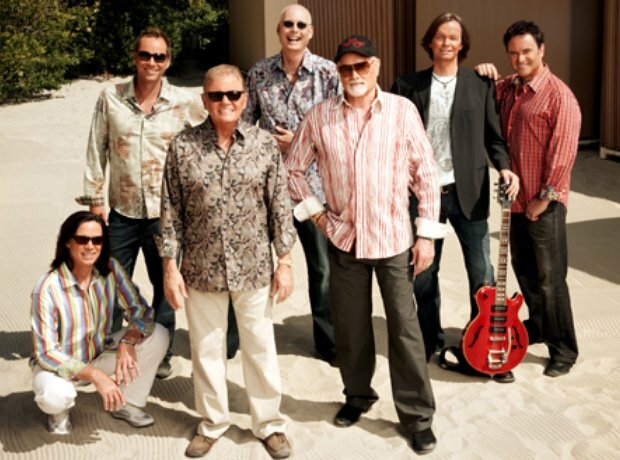 The Beach Boys became famous across the world for singles Surfin' USA and Good Vibrations in the 60s. Lead singer Brian Wilson suffered from mental health and substance use problems through the years, and two members died, but in 2012 the band reunited for a successful world tour and new album. Another 30th anniversary, another great reforms for a tour! Simply Red fans have been ultra-excited this year with the band's new album Big Love back in the charts and a tour with Natalie Imbruglia scheduled for the Autumn. Lead by the distinctive Sting, The Police were one of the most successful bands of the 70s and 80s, with hits including the classic Every Breath You Take. They returned to celebrate their 30th anniversary in 2007, with the tour becoming the third highest grossing tour ever! After the death of Freddie Mercury from AIDS on 24th November 1991, Queen could never be reformed without him. But Queen have reformed several times with surviving members Brian May and Roger Taylor joined by various frontmen, including Paul Rodgers of Bad Company and American Idol runner-up Adam Lambert. Blondie's first UK number one single was Heart of Glass in 1979, and they had a string of hits over the next three years including Call Me, Atomic and The Tide Is High. The new-wave band were commended for their eclectic but accessible mix of styles, but broke up after the release of 1982 album The Hunter. In 1999, exactly twenty years after Heart of Glass topped the world, they came back with the release of No 1 single Maria. To date, Blondie have sold over 50 million records worldwide. Take That were one of the biggest boy bands of the 90s, until Robbie Williams left and they went their separate ways in 1996. In the mid-2000s the band reunited under the guidance of songwriter Gary Barlow, to a host of successful tours, albums and singles. The band are still going strong now, although missing Williams and Jason Orange.